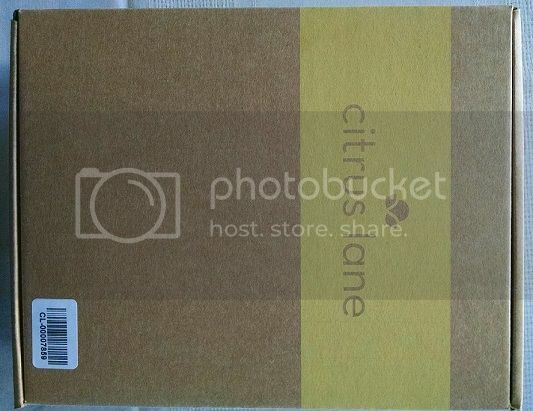 Disclosure: We received one of the Citrus Lane Specialty Boxes in order to complete this review. All opinions are 100% our own. If you are unfamiliar with Citrus Lane, it is a mom-curated, monthly subscription gift box for babies and kids up to 5 years old. Citrus Lane has also created a line of specialty holiday boxes for this season. Each holiday box includes 4-5 products that are rated and reviewed by moms, and handpicked specifically for the age and stage of a child. Products range from educational toys to fun bath products to bibs & blankets. Citrus Lane narrows down the best products to help parents discover favorite new brands for their little loved ones as they grow, and even includes insight as to why each product was recommended. 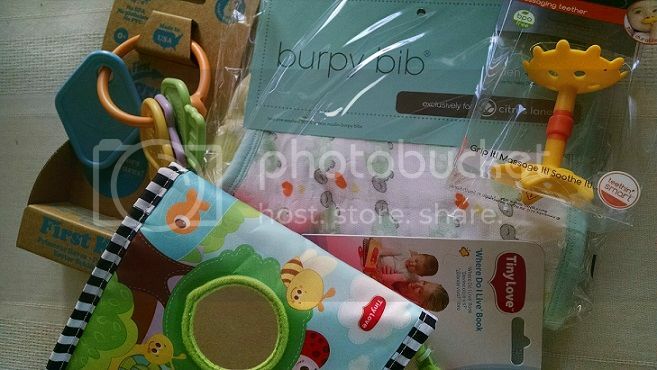 Sample brands you might see in a gift box include Aden & Anais, Boon, SkipHop, and more. The holiday specialty boxes range in price from $28-$44 and the monthly subscription boxes (available as 1 month, 3 months or 6 months) range from $24.99 to $29.99 per month. 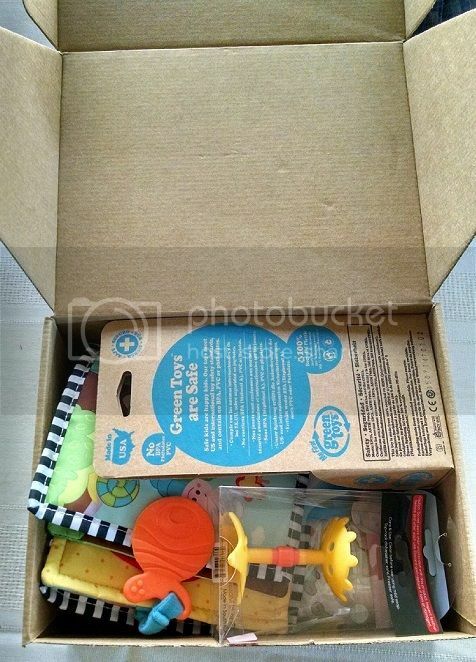 We received one of the infant boxes to review. The box we received was a sturdy box filled with goodies inside and we couldn’t wait to see what was in the box. Our curiosity was peaked! What kind of goodies were included? Would we like the products? Would the children like them? Toys are always good for an infant so to start out the package looked promising. Lots of colors and it looks like lots of cool toys any infant would love to play with. There were definitely a lot of goodies inside this box. I was happy to see it wasn’t just toys – there was also a big included and a first aid box. I wish these were around for when my kiddos were younger. It would have been fun to receive a monthly box full of items just for the kids. Knowing a little bit about what items are in the box.. I can’t wait until a friend of ours has their baby because this is what they are getting! A subscription to Citrus Lane so that they can be surprised each month.